The RTD story begins with a very basic love of the arts and creating….. 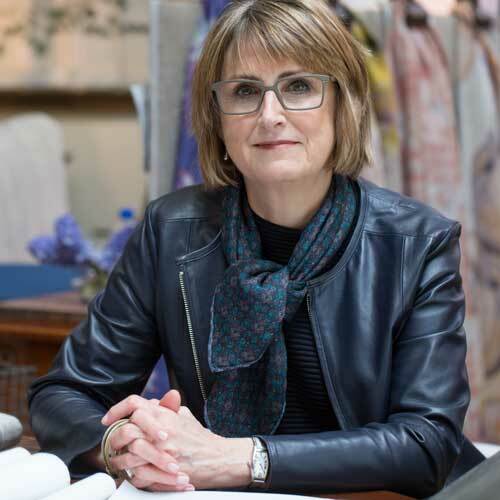 The RTD story begins with a very basic love of the arts and creating…..Robin has been passionate about design for as long as she can remember – from designing and fabricating rugs and quilts for her own “teenage” room, to creating one of a kind fashion pieces. With a broad range of artistic interests, a particular love for drawing and the photography of spaces, combined with a passion for beautiful textiles and color led to a career path in interior design. Earning a BFA with studies in Italy, Robin has worked in art + design for over 30 years, is an associate member of ASID……and is the extremely proud mother of four fabulous sons. While taking a brief “pause” from her design work to raise a very active family, the time provided a period to reflect on her design philosophy and consider how aesthetically beautiful and pleasing spaces must align with daily life, the story of life and life’s continual evolution – how they coexist and reflect the individuality of the people that live there. She began developing relationships with small boutique companies that aligned with her new design vision – those with passionate stories about their desire to create innovative, beautiful and functional products. These special sources are at the core of all her projects…..their stories are folded into her interiors – bringing a unique individuality and meaning to her client’s homes. Robin’s passion for creative design has led to an exciting new chapter – the opening of her in-studio gallery. The gallery embraces new art forms of the innovative and talented artists and artisans that reflect the poetry of life…… showcased are the beautiful Parisian “painting” textiles by Maison Levy, intriguing furniture and decorative curiosities – their artistic work adds a fresh joyful experience to the “everyday” of life. Projects at RTD are both large and small….Robin enjoys a wide breadth of projects – from full scale design that begins with the architectural phase to small strategic updates in existing spaces…..including the occasional rescue of a special heirloom piece. Outside of her design work, Robin enjoys spending time with her family, traveling to Paris and Italy – with hopes to speak both French + Italian someday……walking the Chicago lakefront and playing the piano.